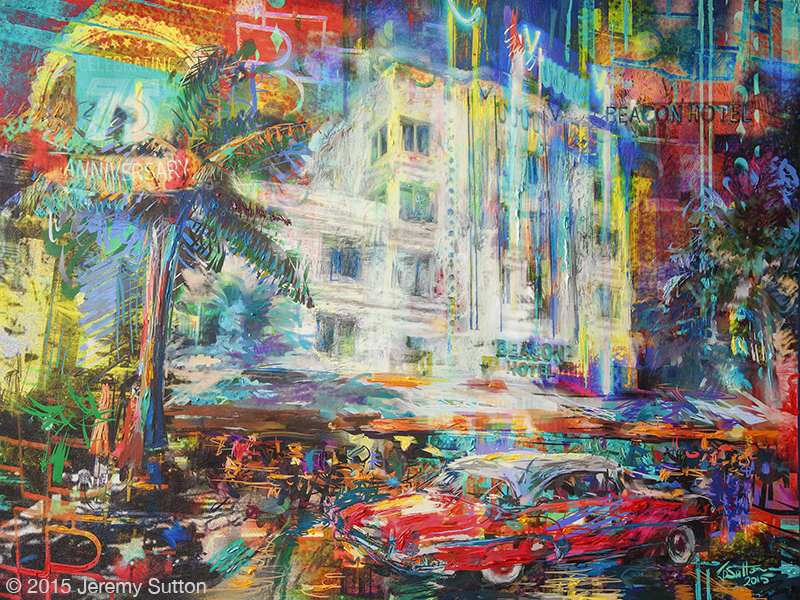 The painting is based on, and inspired by, my stay at the hotel during the 2015 Art Deco Weekend on Ocean Drive. I took reference photos at different times of the day, inside and outside the hotel. 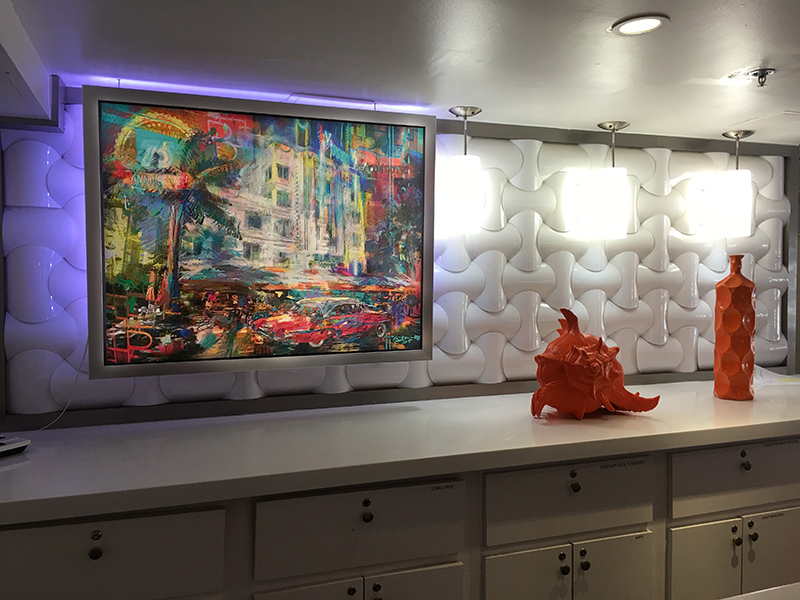 I was inspired by wonderful quality of light; the shapes, colors, architecture and design details of the building; and the history, style and character of both the hotel and the car. 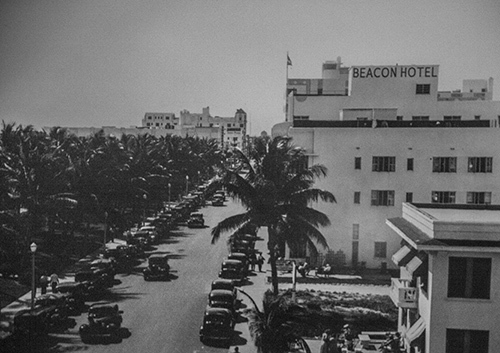 I also referenced historical documentation such as a photo (shown here) of the hotel in 1937, just a year after it opened. The artwork is a mixed media painting (pigment ink and acrylic on canvas). The process of creating this artwork included freehand digital painting with use of Corel Painter 2015, Wacom pen tablet and Macintosh computer; UltraChrome pigment ink large format archival output on specially prepared high quality canvas; and acrylic gel and paint applied directly onto the canvas with brushes and palette knives. Thank you to Elvis Taylor, General Manager at the Beacon Hotel, and to Veronika Volovik, Web Marketing Director, and all the rest of the staff at the Beacon Hotel for their warmth and hospitality. Thanks to Lana and Irvin Becker for bringing their beautiful ’52 Chevy to Art Deco Weekend and thus providing the perfect compositional element for my painting! As usual wonderful work. You have truly inspired me, and my art over the years, your work inspired me to get into corel painter x. I hope one day to see your work in person. In the meantime happy art and dancing.